Today we are so excited to announce that we have been interviewed by Weding Photography Select, a great resource for brides in the UK, looking for a photographer. If you have a second to take a look, please do! There are prety pictures to look at, and some of our philosophy on Wedding photography! 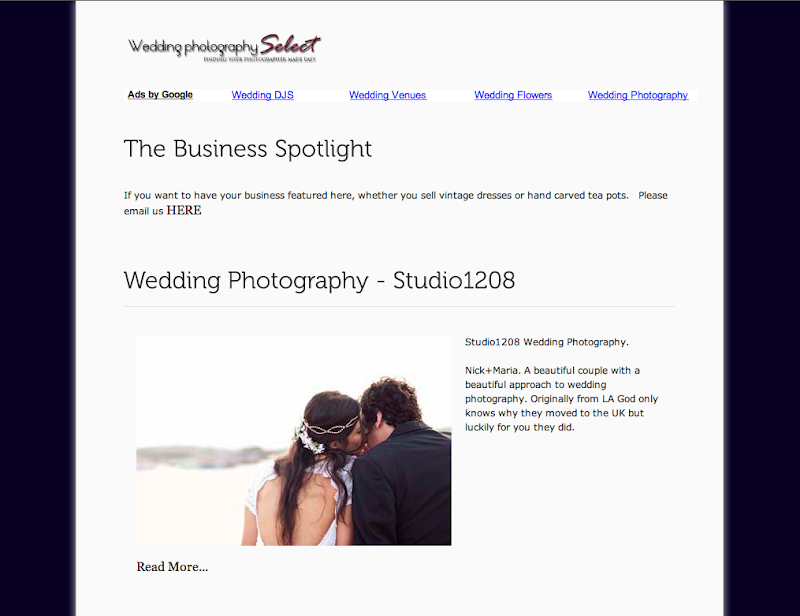 Thanks to Wedding Photography Select for featuring us!